Join Tricia at her Studio/Gallery in Little Italy this Fall for a Portrait Painting Workshop being offered through the Valley Art Center. Tricia will do a demonstration for part of the morning and individualized coaching will be offered throughout the day. Artists will work with any medium of their choice from a live model and partake in a critique at the end of the afternoon. Tricia graciously accepted the 1st place award for Anita in Black from Patricia McLatchy at the reception for the 2014 Hoyt Regional Juried Exhibition. The reception, which was May 4th at the Hoyt Center for the Arts in New Castle PA, was lovely and featured many talented artists. 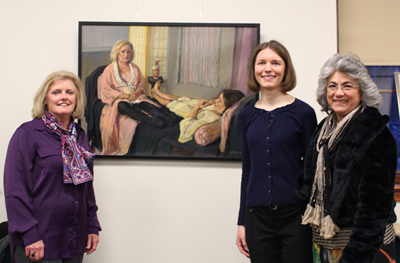 Many thanks to Dr. Louis A. Zona for judging the Exhibit! 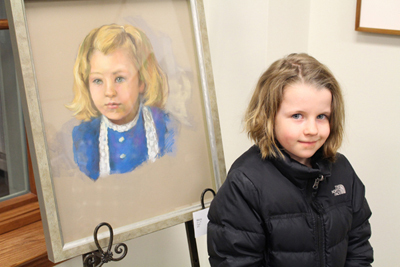 I will be doing a pastel portrait demonstration hosted by the Medina County Art League. I hope to see you there! We will paint Grisaille Gesture Studies each day of the 3 day workshop. 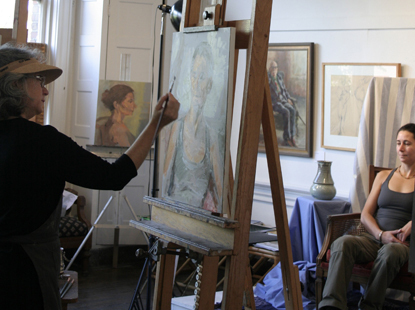 On Friday and Saturday, we will develop a two-session Duo-Tone Color Study using a limited color palette. Each day includes a demo and private instruction. Supplies will be available if needed for a small fee. 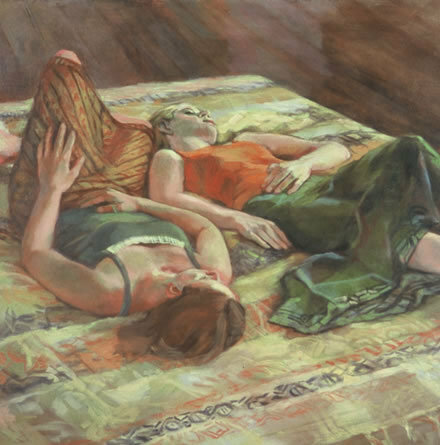 In celebration of National Women’s History Month, there is a reception at the Tricia Kaman Art Studio/Gallery in Little Italy, Cleveland, scheduled for Saturday, March 22nd from noon to 7 PM. My studio in the old schoolhouse building, at 2026 Murray Hill Road, is one of several galleries invited to participate in a Visual Journey of Galleries throughout Northeast Ohio honoring the work of women in art. In addition, I will be celebrating 25 years at the studio’s Murray Hill location. Please join me for the opening reception of my solo show that will be hosted at the Chagrin Falls Library on Thursday, March 6th from 5:30-7:00pm. I'd love to see you there! Even if you are not able to attend the reception, I hope that you will get the chance to visit the exhibit of my paintings, which runs through April 21st. Thanks to all who came to my opening! If you couldn't make it, the show will be up through April 21st. Don't miss out! 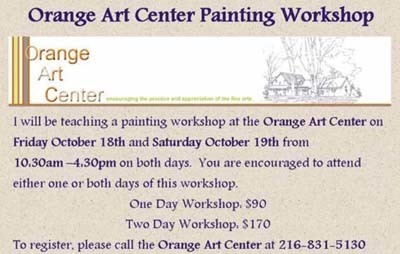 Tricia will be hosting a Portrait Painting Workshop at Orange Art Center next week! 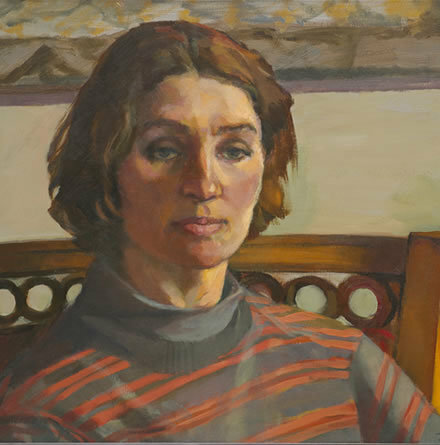 "Capturing Unique Qualities of the Individual"
This workshop will focus on traditional practices in oil and pastel painting including composition and color. Some previous drawing and painting experience recommended. Tricia will be giving demonstrations and critiques as needed. 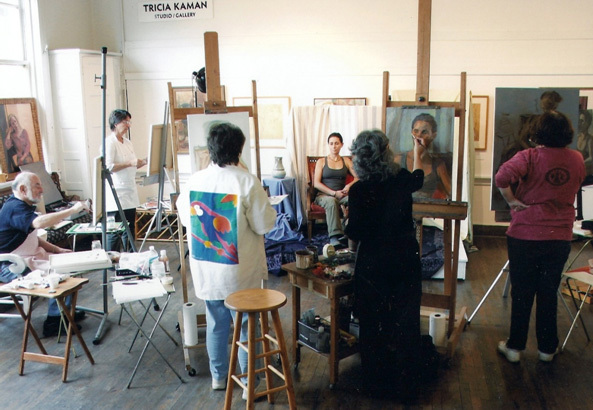 Develop your own sense of style while being taught by regional and internationally awarded fine artist, Tricia Kaman. Model fee included. Filmed at the Opening Reception with the Artists on Thursday, January 17, 2013 from 6 - 8 p.m.